Request a free sample part of any of Formlabs’ resins. Formlabs' Dashboard is a cloud-based tool that helps users maximize machine use. Dashboard tracks the printing process, sends a notification when prints are finished, organizes a team’s print history, and monitors materials usage so that it’s clear when it’s time to restock. Interested in learning more about how 3D printing is changing education, and how you can get started? 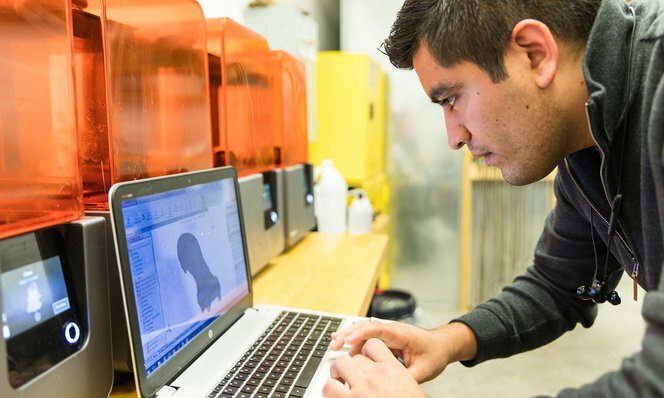 Watch our webinar recording to learn how educators at universities and colleges around the country benefit from access to 3D printing technology.